NOTE: Due to unexpected increases in lease prices, there will be a $25 per night per group surcharge on all cabin locations. 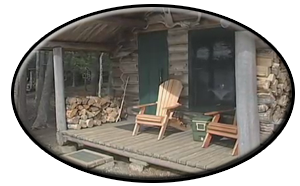 CLICK HERE FOR MORE INFORMATION ON LAND USE AND GATE FEES OF THE NORTH MAINE WOODS. Satellite phone that works from anywhere. Great for emergencies: Daily $25, Weekly $125, plus $1.00/minute. Must be reserved well in advance. All prices do not include state sales tax of 9%. Note reduction in rates when staying for four or more days. During the month of November all reservations are from: Sunday to Sunday unless otherwise set up. CANCELLATIONS: Nonrefundable unless space can be filled. If space is filled, deposit can be rolled over to a future trip in the same season or the following season. PAYMENT: Cash or checks only, made out to "LIBBY OUTPOSTS" accepted for deposits and prepayments.